"Thanks for the great service and outcome, very happy with the result. Excellent experience from start to finish". Thank you for this. All is well, and I am very happy with the digital media that you created for me. Thanks again ..... bye for now. Everything looks good so far! Still waiting to do the "big viewing" but looks like everything is good to go. Thanks again for the great services - just left a 5 star Google review. Cheers! I was delighted with the conversion of my VCR to a digital format. I have been meaning to update some of my photograph collection. When I do get myself motivated to get organized I will certainly use your services. Hi, Jen, Thanks for your email. I am very satisfied with the digital recording and your service was excellent. Would certainly recommend Digital Treasures if I hear of any friends or acquaintances needing such services. Thank you for clarifying things in our phone call and allowing me to pay over the phone. I look forward to receiving my movie. As I mentioned on the phone, in a world where customer service is often an afterthought, you guys are a breath of fresh air. Your service is patient and extremely accessible. You communicated the receipt of my film by both e mail and text and the same when it was ready. Your staff have been steadfastly courteous, pleasant and patient. Feel free to share my comments as a testimonial to your business. The photos look fantastic. This is our second round of items that your team has worked on (last time we dropped off glass negatives), and we're really happy with the results. I have been spreading the word! I've had a quick look at a few of the videos, they look great. Thanks so much. You and your team has been really great with all my questions and I'm very pleased with the final product. I'll be sure to keep you in mind if I have anything in future. The Motorcycle negative and positive image are first class. Give my regards to those who did a most professional job on the project. Look forward to more excellent service in the future. What a wonderful surprise when I started viewing what you sent me. I haven't viewed even close to all but the first thing I saw was a video of my 25 year old son as a baby. So very cool. Thank you for what you do. The memories made us cry. We completely forgot about the things we did together as a young family. Just in time too as my wife is very sick. Subject: Re: How are your digital treasures? Hi Nicole - We're very happy with the video. It made a great Christmas present. Very high quality and was happy with the quick turnaround. Will definitely be recommending you guys. Thank you very much for all of your work. The CDs and DVDs are perfect! Have a very Merry Christmas and a Happy New Year. Just a note to say that we've received all the footage. Thank you guys so much! I know I've probably annoyed the staff over the last few days but we're on a very tight deadline and having all of this lifts a huge weight. I have downloaded (and backed up!) all the photos. This was amazing. Amazing! We will definitely be back with more things to scan. Thank you so much! Wow! I was the little baby in that film!!! What an experience :) I know we film our kids all the time today but it's a very rare thing to see yourself as a baby (I'm 51 now) when it was almost unheard of to be filmed back then. I can't wait to show my family!!! Can you please go ahead with the rest of them in HD form? I played it on my computer and saw the difference just from watching it here. Thank you so very much, I just went through the converted film and I am so very impressed. I will be giving out your companys name for sure! Everything - service, quality of photos, timing - was excellent. I will be bringing in more of my personal work/photos as soon as I am organized to do so. Hi Ryan! Thanks for following up! My order was perfectly achieved and better than expected. Digital Treasures should advertise more to make more people aware of the service! I have recommended your service to a number of people! Thanks! Will be back!" I have passed the images on to Exmoor magazine in Devon England. It was a pleasure talking to you last week, and you kept your promise. Thank you. The images are spectacularly clean, and are the best I could have ever hoped for. I owe you a big hug and you can collect when I pick up my images in the next few days at your office. I will definitely be using the services of Digital Treasures Group Inc. in the future. Hi Chris. I just wanted to let you know that I surprised my husband's family with the movie at Thanksgiving and everyone was thrilled. Baba did not let go of my arm all afternoon, she cried so many happy tears. I took your business card with me and the fliers you gave me because I knew there would be a ton of interest. I just wanted to prepare you because you will be contacted by people from our family with requests to convert VHS home movies and the smaller camcorder ones. We may have a few more Super 8 films kicking around too. Everyone is thrilled with the fabulous job you have done for us and I really can't thank you enough. The videos are amazing, I received the stick today and I am very pleased. Thanks for bringing our memories back to life. I'll be happy to send more tapes in if they turn up! Marc. I received my completed dvd's yesterday. Watched the first one. Chris-hockey game, chris-gymnastics demo complete with his 5yr old brothers full monologue... never laughed so hard. Simply thank you thank you. The Digital Treasures team is the best! I arrived at their office with a bunch of VHS tapes from 20 years ago, worried that it wouldn't be possible to digitize them, or at least digitize to a high standard. Within seconds, the team showed me precisely what the transfer to digital would look like and how easy this is to do. A few days later, I had in hand two USBs and 20 years of memories brought back more clearly than ever. My family and I were so happy! I encourage you to call on Digital Treasures for all your video, photo, film, audio conversion and digital media solutions. You will be thrilled by the outcome! Marc, Thank you so much for this. I cant tell you what it means to me. And I could use some good news today. And I appreciate the unsolicited advice as had no idea where to get this done. I cant wait to look at this once I am done working today. I have paid the invoice. Thank you also for returning the slides. You guys are amazing. I never expected it to be so easy and successful. Will keep you in mind for other work and if friends need as really a superb service. All the best to you and heartfelt thank you. I recently came upon a 20-year old VHS of my brother-in-law's wedding in England. While searching the 'net' for a convenient way to send him a copy, I discovered "Digital Treasures". The advertisement itself gave me a sense of assurance - reflecting a place where an "analogue" mentality would be understood and assisted. My assumptions were accurate. I was courteously welcomed and my options clearly explained. I was given a cost and time-frame estimate; in fact, the finished mp4 USB stick was ready for pick-up in less than half the time expected. I have no hesitation in recommend the services of "Digital Treasures", unconditionally. I've dealt with Digital Treasures twice now: once to convert 8mm film (1976 honeymoon trip to Ireland) to DVD and recently to convert VHS tapes to DVD. Both times, the service from Digital Treasures was wonderful. DVDs were labelled for easy reference, and the quality was amazing, especially considering the less than expert original camerawork on the 8mm movies. This is a great service that you provide, and I have already recommended you to friends. Thank you for truly making me some digital treasures. Hi there, Alison here. Thank you guys so very much! I can't wait to show this to my family. I was going to wait for Christmas but I think it will be a Thanksgiving surprise instead. You have made it possible for my grown kids to see the grandfather that died before they were born, along with their great grandfather and my husband's beloved dog. My sister-in-law's grandkids can not only see their great granddad but their great great granddad too! Plus we have our Baba in this movie in her prime. How very wonderful. I can't thank you enough! Thank you for the follow up. All fine and I saved the digital videos on USB key to show them to family and friends. I also recommended your services to two of my friends that were looking to digitize their wedding video and their job photographs (taken long ago before digital photography). Thank you for following up. I was extremely pleased with the conversion of my slides. The quality and colour were beyond my expectations. Service was prompt and professional. I'll be converting additional slides in the near future. Subject: Re: "RE HIGHER RESOUTION OF PICTURES AND SLIDE"
Have received all my pics. and slide back with perfect resolution and wish to commend you on a wonderful job. Would especially like to thank Shonah for doing such a fantastic job and Chris for looking after all my requests and sending me each picture separately so I was able to forward them on to the Toronto Star and fulfill all their requirements. Thank you very much for the update and couldn't agree with you more about quality being the most important! I've been so very impressed with the videos I've seen so far and the many, many smiles they have brought with myself and those I've shared the videos with. I just keep spreading the word to people I know who are all so interested when I start telling them about you and showing them my videos. The videos look like they were taken yesterday. Hi to all at Digital Treasures. Thank-you for your excellent detailed work. You were able to retrieve my old recordings, and made them useable again. It was a pleasure to work with you, and I happily recommend your services. Thank you very much for a wonderful job on a film that was difficult to take from a wheel chair it turned out better than expected will be sending more in the future. I have just finished watching the digitized films, one of my 1965 Bar Mitzvah which I have not seen in over 50 years, and the other of my brother's wedding in 1968. You have preserved them in a more permanent form beautifully? Thank you for your email and yes, I have passed on my recommendations for your service to friends and family. As it turns out, my friend, Atira, for whom you converted the PAL Tape will in all likelihood come by to get two more tapes done. As her finances are restricted, it may be a while before she comes. We'll see. As for Facebook, I'm sorry, I don't publish anything except to close friends so no one other than my very small group will see it anyway. For what it's worth, your conversion was greatly appreciated by my friend. She was in tears when she finally was able to see her daughter again as a baby. Several of the people in the video were already deceased and it brought back sweet memories of a time gone by. For myself, I was very pleased to have these memories restored and safeguarded for me and my children. I have yet to let the rest of the family know about this but expect a great deal of interest in obtaining copies. Thank you again for the work you did. It was greatly appreciated. Digital Treasurers is a Goldmine. They have the best in technology and equipment plus quality people commitment to get it right the first time. Their people do everything possible to help and guide you through the entire process and genuinely have your best interest in mind. I put complete trust and confidence in Digital Treasurers and they do magical things with old film and media content. What was forgotten, old and stale comes to life once again. Countless hours of family fun jump out from the flawless workmanship of their experts and seamless team effort. Digital Treasurers is where to go if you want to recapture old memories stored in your dated films, slides and media of all types and varieties. They do it all and to perfection." I'm going through the back up drive now and am really enjoying it. Can't wait to show my wife and the kids tonight. I look forward to receiving the next order. I am also putting together some old pics for you folks to copy as well. Very pleased with the 8mm film conversion (in HD) you did for me. Most handy to have it all at the ready on a "stick". I also have some old quite a few video films to bring to you for conversion. I'll bring them in soon. The service was great and exceeded my expectations. able to make the history of our family come alive. The cost is reasonable. The face on meetings with Digital ​Treasure​s staff are enjoyable. I made s​mall​ blunder when I entrusted over 100 slides to another digital​ ​converter who simply put the slides in a rapid fire converter and collected my money. The result was terrible... about a third of the slides were black and many others had not been cleaned... spots of dust common. And​ ​the charge was higher. Digital Treasures can be trusted. Lucas, thanks for the contact. I know you guys have done the best possible job, considering that the latest batch of 16 mm. film reels date from 1939 to the early 50's. You have saved as much of the film as possible and it has been much appreciated by my family (as well as by me). I have just returned from Philly with more reels, so I will be in in the next while to have you convert more. I just wanted to let you know that my brother really liked the slide show/video and so did the rest of the family. My brother made a comment to me after watching it that "maybe I have done more than I thought" as he said sometimes he feels he hasn't achieved enough in life. I think we all feel from time to time that this is the case. However seeing pictures to capture defining moments makes us realize that we have done OK in life and it makes us more content. It's a wonderful business you and your husband are in helping people capture memories and appreciating them. Keep up the great work. Thanks again for your help and suggestions. Again, thanks for the donation to our fundraiser and today I am purchasing some smaller USB flash/key drives to create about one dozen sets of the Clips for gifts to my intended recipients. Take your time on that fourth order I gave your yesterday as it is not a rush order. I look forward to seeing that digital transfer sometime in the next month, but as you have proven to date your high-quality production services have a very fast turnaround. Our donors are not expected to attend and generally do not, but if you are able to end your long days on the 27th with a drive to East York you will be welcome to see our awesome Auctioneer at work even after the auction starts, as it goes pretty late, and I know the Auction Committee will waive your entrance fee and you can have a late meal to end your day with our all beef hot dogs that are served with some snacks on the side. Thanks for your e-mail. I have already had my slides converted at your Burlington office. I picked them up yesterday and am very happy with the outcome. If anyone I know is interested I will be glad to give them your name and a great reference. I would like to thank Digital Treasures for being a one-stop solution for digitalizing all our family archives. I submitted old movie reels, slides, videos and photos. Much of the stuff was from the 1950's - 60's and no one in the family had ever viewed them due to lack of equipment. What a delight it was to receive the results. The quality of your work was excellent. Also working with you was a pleasure. You were forthcoming and professional with the price quote and the meticulous counting and re-pricing of the final product. You also patiently answered all my questions and concerns. This includes the friendly young lady who received us at the office, and the people fielding questions on-line through email. I can't believe how you took a "mess" of "stuff" and turned it into a magnificent collection of priceless memories. I wish you great success in your business and many satisfied customers like myself. We are quite happy with your services.​ The 35mm slide conversion worked out great.​ ​We are going through are negatives and pictures now.​ ​It is going to take us few months but we will back as soon as we have at least 1,000 to 1,500 pictures. Good Morning Ryan. Our experience with Digital Treasures has been fantastic. Every person who we dealt with was just a pleasure. The films turned out great and we couldn't be more pleased. I have already had people asking me who we used and hopefully you will get some future business from it. There is no substitute for good service and quality work so I expect your business will always be growing as you are champion at both. We are just putting together a second batch to get transferred. Some of it is VHS tapes and some super 8. One of the VHS tapes has sound but nothing else does. It takes time to go through them and weed out the ones that are worthwhile. Some are only PARTS of a tape. Subject: RE: FW: Yellow Bar? We are currently in Texas where it is snowing after freezing rain (go figure); and we thought we left this type of weather behind. I believe that I did get all the files before we left for the winter but I will d/load the files from Drop Box as a just in case when we are back at home in Florida by next week. Again, I appreciate the tenacity of DT to solve the mystery and deliver a product that I am pleased with. I have already told several of my friends of my project and your service and trust they will follow through with their own projects in due course. As promised, here is the link to the released music video that would have been impossible without your help. Hopefully the team at Digital Treasures enjoys it and was as happy to play a part as we were to pair up with you. I took into Digital Treasures a movie I made 50 years ago on a Super 8 camera. The movie also had a sound track which back in those days was a magnetic strip on the Super 8 film. Needless to say, Super 8 sound film projectors are hard to find these days. I had my doubts when I took it in but Digital Treasures did the impossible and put it on a flash drive. The quality was fantastic. Their customer service is amazing. Always asking if I was completely satisfied. I will return with more films to convert. Based on my experience, I would recommend them to everyone!!!! Thanks for the email. I have not been able to spend much time yet on the reproductions. However all does appear to be great and the service was outstanding. I'll definitely use your services again. I have lots of materials - just saving my pennies. Thanks for all the professional advice and service in transferring my television shows to digital. Great quality in the dubbing of video tape dating back 17 years. Subject: Comments about Scan-Excellent Detail! The focus of your scan - the accuracy of recording the details on the original film - are extraordinary! I actually think your equipment produces better results than anyone else anywhere in the world. By the way, the quality of the sound transfer is also good.... On my way to the post office, I gave a high-school movie-making friend of mine a DVD of the scan you made for me, of that old movie... now this friend of mine, is VERY critical. He has a degree in video-making (my own degree is in old-fashioned film). And he has a brand new 4K flat-screen, so he is inspecting all movies in his library extremely closely to find what new details he can see. He has seen other scans I've had of other movies, and has never been impressed. I will surely recommend that HE get HIS movies scanned by your company, too. And I can also without qualification recommend your services to all my friends when they need a scan. Myself, I always felt this little film of mine was lacking proper lighting and colour, and I never liked to look at it. But your scan of it absolutely sparkles! I keep looking at it over and over just enjoying the crackling sharpness of the image and the brightness of the colors. I am happy with the result and service. I have recommended DT to a couple of friends. Thanks! I received the package and transferred to my computer. I am really impressed with how well the conversions came out. This will be fun for me to watch through and edit. By the way, I meant to mention that my almost 60-year-old 8mm movies never looked that good before. There was always a bit of flicker, signs of dust and the need to refocus the projector, etc. In 1964, I switched to Super8 and the picture quality was better than the 8mm movies taken with a wind-up Kodak "Brownie" camera. To our amazement, now the old 8mm movies look just as good as the Super8 ones. I had copied some of them by using a projector, a film transfer box and a Sony VX1000 MiniDV camcorder connected by firewire to a DVD recorder. The results were watchable, but lacked the excellent quality of the copies you made! Merry Christmas to the Digital Treasures team! I will recommend your company whenever the opportunity presents itself. I must tell you, it has been a long time since I've done business with one such as yours. Your staff is so friendly and accommodating, and it has been an absolute pleasure! My hat goes off to you! Thank you very much, I got my file.? ?It was the best costumer service,? ?you guys are nice and professional. I just wanted to let you know how pleased I am with the service your team provided. The large clunky, worse for wear, U-matic tapes I had brought to you were turned into clear, crisp audible video files. The original videos hold information of a historic nature about life in Ontario's Institutions for people with Intellectual Impairments. Your making them usable again will assist me in one of the projects on which I am currently working. Without the high quality service provided by Digital Treasures the vital information on these tapes would have been lost. Thank you very much for providing such prompt, personable professional performance. I cannot speak highly enough of the level of customer service and quality of work of Digital Treasures. My father took 3,000 colour slides over a 40 year period. We edited them down to about a quarter of that. Digital Treasures processed our order and now with numerous USB sticks, many members of the family can easily access and enjoy the finished product. This truly is a classy operation. Thanks. Very pleased and got all tapes back today. Great over all experience, thank you. We received our movies this morning. Needless to say the first thing we did was to watch reel 1 on the DVD. My mother was thrilled with the results and we can't wait to watch the other reels. Sending our movies all the way from Swift Current, Saskatchewan, was a little nerve racking but your excellent customer service and how you kept us informed at each stage of the process really helped to alleviate our worries. Thank you so much for bringing back these great memories! 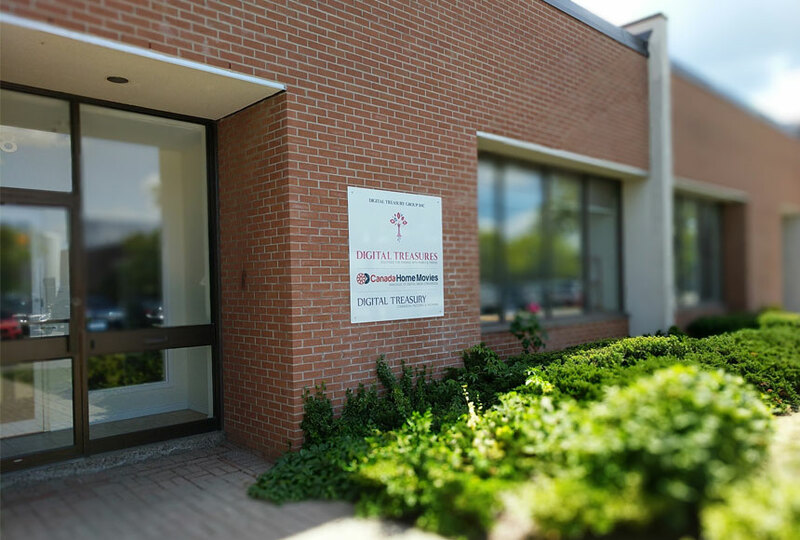 Because of a recent move, I have employed the services provided by Digital Treasures at two of their locations - Burlington and North York. I received the same curteous service and professional results at both locations and would have no reservations whatsoever in recommending them to anyone for their video/film/audio digital needs. Thank you Digital Treasures! Thanks for checking in. We are very happy with the service and quality we received from you. I have actually recommended you to 2 people already. Can't think of anything that could have been done better. Very professional service, excellent quality and priceless results ?
? ?and can't wait to apply it to my work flow. Now to comb through my VHS tapes. May need your? ?services again in the not too distant future. Oh, very nicely done! They look lovely! Please thank the technician who worked on it. When I sent it on to a family member her remark was "What a beautiful photo!" but we both knew it was much more beautiful because of the repair work on it. Didn't know you were on FB but will certainly 'like' you there. Some of the photos you restored and/or digitised are now in the possession of the Waterloo County Museum. We thought that would be a good home for some of our ancestors! Thank you SO much for making our family memories come to life! I will definitely ask my Dad to bring more videos to you. Yes Indeed ! my experience dealing with Digital Treasures was an Absolute Pleasure. The staff was courteous, the finished product was better than my expectation and the price point was digestible. I would be happy to give you a nice review on Google, and I would certainly write up a good testimonial, but I need a day or two, due to work load. I wish you a tremendous success with business. Btw, heres a fun little "before" and "after" clip I put up. ?BEFORE was the original film transfer my aunt had done in 1995 to vhs using a telecine. ?AFTER is the Digital Treasures film scan, and my post processing using the video scripting language AviSynth. As an indie musician, I was contemplating on the digitalization of my earlier productions which were recorded on DAT. As a Canadian residing out of Canada, my first Google searches were not within Google.Ca but rather, Google.com. I came across treasure and I was not certain how the final outcome would turn out. I'm excited & ecstatic to provide feedback that you guys went way above my expectations. I'm committed to maintaining our business relationship. Next, I'll be sending you guys recent recordings for audio cleaning and quality enhancement. In fact, you guys are the best! The experience was excellent...and I am already referring you prospects happily. Will use my wife's Facebook to give testimonial. I am one of few still not on it. Thank You All, received the package today & watched it. We are very pleased with the digital files converted from the dozen or so video tapes I dropped off. The quality is excellent and the mp4 files very convenient. Best of all, all files are now saved and backed up in multiple spots including "the cloud" whch means they will never be lost. I would loved to post a testemonial to your facebook page but can not as i do not do facebook. Hopefully you can use the above with my approval. Thanks for the follow up. All the videos turned out great, there are few blips, but I knew they were there before when I saw the tapes years ago. My wife and kids have a blast every time they watch them., now my mom needs to see them. Thanks for a great job at such a quick turn around. Yes, feel free to use my e-mail. Already bragged about the results to guys at work. What you and your colleagues have given to me and my family cannot be expressed in words other than these photos, films, photos and audio will be keepsakes for generations to follow. I will make a point to download the material to my personal computer. I've sent the link to dropbox re my family collection to close family and encouraged them to download any or all of the files within the next 30 days. Norman's file is equally delightful. 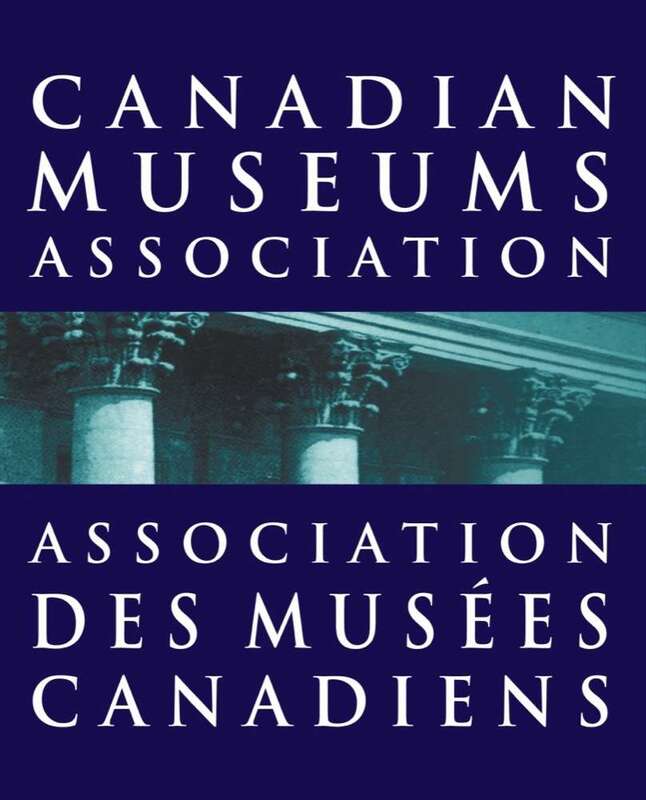 I will be sharing some of his materials with the Canadian Lesbian and Gay Archives as well as Swarthmore College Peace Collection and Canadian Friends Historical Association (Quakers). In these works and the people he touched my Luv's memory will burn ever bright. Again, my sincere thanks Jen to you and your colleagues. PS:I shared with the driver this project and what a superb service you have provided. I can only speak in the most positive terms about Digital Treasures! I am writing to thank you for your help and professionalism in getting this order completed in a timely fashion. I had a chance to look at the footage and it looks great! Your service, and the service of everyone else at Digital Treasures, is greatly appreciated. I received my CD's and just want to thank you very much for cutting those tracks. I'm very happy to hear a few of the vinyl records my dad produced and played guitar that go back into the early 70's. Stuff I haven't heard since I was a kid because I didn't have a turntable to play them. I will recommend your business to anyone who may require your service. Margaret, thank you for your contact. We are VERY satisfied with all aspects of your service to us. We have enjoyed seeing long-ago scenes and relatives from a time we only knew through stories...the visual is so much better!! Thanks again, we hope to have the opportunity and need for your expertise. We just wanted to say that we were very pleased with the help we received from you and Digital Treasures with our recent project. We have captured some old VHS home movies on digital and some meaningful old 78rpm records of family recordings that we now have as MP3 files. Thanks for the great service it means a lot to us. Marc, Many thanks, confirming receipt of the jpeg. Looks great! This will be framed for my brother's 60th. Bill and I will be in when he returns from Montreal next week. All the best to you, and the excellent DT team who kept me updated of my order status all along the way. Yes! Until now, I'd only seen this footage using the projector at home. I had to do a very quick-and-awful 'film the wall' solution several years ago when again I wished I could have done a proper telecine. I'm very pleased with the film you digitized for me. What a fantastic thing it is to be able to watch an event that happened 60 years ago! I dropped off additional family films, slides and cassettes to be digitally transferred yesterday. It was so good to see Ayesha again. She couldn't have been more helpful. How very fortunate I and my family are to have found Digital Treasures. The videos you transferred for me turned out better than I hoped! It was all you promised. Everything was great - both the end-product, and the service. I can't think of anything that you could have done better. I'm going to look through the 8mm movies that I have, and see if I can pick a few to convert. It's a bit of a guessing game, because they aren't labeled nicely. Thank you for your work, reformatting my 'old video' and bringing me back to another time well lived. Received..... all in good order. It was an awesome, and very easy experience working with your company. Thanks so much for your help! I just received the parcel this morning and have been going through the videos. So far, I must say you've done a fantastic job! The quality is superb - feeling nostalgic and a little embarrassed to see myself so clearly from 20+ years ago! We have viewed the movies that you converted for us, and are just so thrilled to be able to watch them on the BIG SCEEN. Thank you so much for doing such a wonderful job restoring our family treasures. My experience with your services was very positive I greatly appreciate the important service you provided!! It has certainly helped me revisit some precious moments from as way back as two decades ago when I was just a kid! The best part is, thanks to you, I am now able to take some of my old videos with me everywhere I go on my phone.. I contacted Digital Treasures regarding putting together a standard slide-show presentation for my father-in-law's 70th birthday. I was looking for something basic yet memorable, but what I ended up receiving was a TV commercial-quality video/slide-show that was simple amazing! Jen's creative suggestions added both humour and warmth, and her technical software magic coupled with her attention to timing and cadence, was just what was needed to make a very personalized, funny and absolutely unique end product. She allowed me to be creative and integrated many of my ideas, and all this was done in the short time frame allotted (we were in a hurry!). Thanks again Jen and the team at Digital Treasures for making a slide-show like no other and creating a REAL Digital Treasure that the family will watch over and over again! Today I picked up the family home movie transfer from Ayesha, who was such a delight to meet. I have briefly viewed them and am so pleased with the finished product. It was truly amazing to see my mother in her younger years. In one film she is feeding squirrels in Central Park....how pleased Norman would have been! How grateful my siblings and my mother's siblings will be. I also dropped off a few more vhs and audio tapes re Norman. If this is Geoff or Chris thank you again for your excellent work in converting the sound super 8 film of my 1980 trip to London. I recently found the missing box of my old super 8 films. I have no idea what is on most of them and my 8 mm projector no longer works. HI Marc and Jen! I finally got a few minutes to watch all the films and I absolutely love them. Everything came out so clear, much better than I expected. Even the old damaged video of my Mom dancing came out decently. I can't thank you enough. Do you have a facebook page? If so I can go on there and give you a review or something. I would recommend you to anyone. I wanted to let you know that the videos were a hit! My Grandma lives in a nursing home, and had no laptop or internet access. So I organized all the films, put them on DVD's and mailed them to her place. My mom and her two brothers visited my Grandma a few weeks ago and they were all able to watch some of the films together as a family. J My Grandma saw faces that she hasn't seen in 30+ years, including her own (now long-gone) parents and a grandchild (my cousin) that she has been estranged from since she was 5 years old (she is now 45). Absolutely amazing! I'm so grateful to you both for helping to make this happen. Just wanted to let you know how pleased I am with the work you did for me. Also, I appreciate your communications throughout the process and that the work was completed quickly. The publisher is happy with the images. I'll be pleased to use your services again and will recommend you to others. I actually had all of my videos transferred by Digital Treasures last month. I was very happy with the results and would recommend your company to anyone looking to have the same work completed. Thanks for sending the email. Your company is super professional and all of the staff I encountered during my few visits to the location were great. Hope all is well with you, Jen & family. I know it's been awhile, but we have just unearthed some more family photos that were in storage (in addition to the 10,000 that you did for us in 2014!). We can't tell you how much this has meant to us to be able to share with the various branches of both sides of the family, and to populate our family tree on Ancestry.ca. This time, there are (at most) several hundred images in various forms -- b&w prints, colour slides, some newspaper clippings, and some negatives. Would you be able to scan these for us as well? If so, I could drop them by the Horner location whenever it's convenient for you. It was great to hear your thought provoking and information packed talk. I took from it an understanding of not only the possibility of what I can do with our family treasures and also the responsibility of making them relevant to the next generation and not an albatross that will be so overwhelming that it will all be lost. Hello Marc. Thanks for your email and for responding so quickly to my call today. No worries about the delay, these things happen. And for what it's worth, I'm extremely pleased with the results of your teams' work. I couldn't be happier. Video testimonial featuring recently converted 8mm film created by our client Brian Cole. We were very happy with the work that Digital Treasures did for us and have recommended your services to friends and relatives. I am very happy with my digital media. We have enjoyed watching all of our family memories that have been sitting in a box for many years! Thanks for your follow up ..service and product were great and I would not hesitate to refer you guys again! Thank you so much, these look incredible!!!! Digital Treasures made this entire process incredibly easy and I felt completely comfortable leaving these heirloom photos with your team, and confident that the services would be completed by the guaranteed pick up date. Your team has saved me the huge hassle of having to do this myself, and even the 2"x2" photos have been scanned with fantastic clarity. I will certainly be returning in the future. You can absolutely use my testimonial. I'd also like to add that your staff are incredibly friendly and helpful, and made the process very easy for me to understand. I wouldn't hesitate to use your services again if I need any analog media digitized. I'll be sure to give you a like on Facebook. Thanks for checking in. I'm very satisfied with the end product and would recommend your services to anyone else. I spoke with your staff about the tape, and asked them to throw it out for me, as I no longer need it. I was very satisfied with the service I received from Digital Treasures and look forward to working with your company in the future for any of my digital requirements. Everything worked out extremely well. Considering the age of the material, we were very pleased with the results. I just wanted to reach to both of you and thank you for the great work you and your team did for us. It keeping me even busier but that is great. I just wanted to thank you and your team for the amazing work you did in converting the many reels of 8 mm film into such a convenient and organized format, taking the time to label the original film with its corresponding digital file. The films themselves were beautifully enhanced and surpassed my expectations. I am looking forward to sharing them over the holidays with family members who will no doubt be surprised that I finally did something with them! Thank you for restoring and preserving so many wonderful memories. Marc, I wanted to thank you, Chris and the Digital Treasures team for the exceptional service and the brilliant quality of the finished product. My father commented that the quality of the movies is even better than what he remembers when watching the originals 40+ years ago. I will certainly be a repeat customer for any future digital conversion services. Digital Treasur?es ?has completed digital conversions for my personal life and work life, both experiences have been very positive with great service, efficient and an excellent digital product. Very pleased with the results. The photo looks perfect. Thank you very much for your assistance. As I mentioned to you, we are very happy with the videos we recently had transferred to DVD and the service level provided. I can't believe the quality of the nearly 60-year old audio tape you folks digitized for Janet and me. There is no hiss or other distortion. You wouldn't believe the absolute delight that the new version has given the family! Hard to believe - I didn't expect this at all. Great work. Thanks to the staff who worked on it. Digital Treasury was able to digitize some old videos quickly and with great quality. We will be using the transfers in a documentary film and are super happy with how they came out. I have already recommended the service to a few other people - for both personal and professional uses. Digital Treasures transferred my home videos and family films to digital and I couldn't be happier with the results. They are highly professional, the service was first class and I would recommend them to anyone. I was extremely satisfied with Digital Treasures - they transferred a number of old family videos onto DVDs and also a hard drive so we have permanent access to the materials. They did a great job and were very efficient as we worked through a number of old cassettes. This was irreplaceable material and Digital Treasures took excellent care of everything and now we can all share and enjoy our family memories. I just want to say thank you to you and your team for the awesome job you did with my family slides & photos. When I lost my husband last year it became very apparent how valuable our old slides and photos were to me and my family. I sent you our slides & some photos, my brother's slides, my parents photo album photos and my husband's parents slides -- all from the '50's and '60's. Photos dated back to the '30's and onwards. Needless to say you have given all members of my family and extended family lots of reasons to love Digital Treasures. We are going to throw a party, rent a projection screen and surprise my 80 year old brother with tons of good memories. The rest of us have already spent lots of hours and shed many happy tears sharing so many happy memories. I'm sure you do corporate projects as well. But when families send you their treasured memories, you have touched their hearts on a different level. Thank you so much. I will be gathering all of the rest of our photos and sending to you sometime next year! Hi Marc! We are very pleased with our slide transfer to digital. Look forward to the next batch. Great service & great job! I would use your company again when/if necessary and wouldn't hesitate in recommending your company to my friends & family. You may recycle my slides as I no longer want or need them. I have been using Digital treasures for a couple of years now and the quality of their work has always been excellent! I love having the videos on hard drive! I think it was a better present for me than my husband. I have raved about Digital Treasures to all my family and friends. So yes I am so pleased with the end product and your service. Just outstanding! And believe it or not I have found a few more videos that need to be transferred so will be stopping by this fall. Loved the service - personal and professional! THANK You! will bring more at some point! I have used Digital Treasures for (I can't remember what I came for the first time?... 2014!) and recently for a very large and boring scanning job. Both times they have gone above and beyond in results and service. I highly recommend them and hope to use their services in the future myself, they are indeed 'a treasure'." Digital Treasures exceeds expectations. Everything from ease of process, quick turnover and the final product made this a great customer experience. Hi - Just to let you know I received my tapes and USB keys yesterday by special delivery. Thank-you so much. I have scanned them and they look terrific. I will wait until this Canada Post labour dispute is over before sending everything else to you. I received my usb stick and DVD yesterday am I am totally thrilled! Thank-you so much for the work you did on the old 8mm movies. If I come across any other old forms of media that need to be updated I would certainly use your company to do the job. I picked up my digitized film yesterday and spent the entire evening watching it over, and over. I forwarded it to my family, and I had people calling me telling me they were in tears watching it. Thank you and the crew so much for this wonderful experience! Thank you again, our whole family is grateful! Just wanted to inform you, that the DVD/Tapes have been delivered, and work perfectly fine. Thank you so much, for your efficient, and excellent customer service. It's becoming a rarity these days. Anyways, Take Care, and know that I may do business with you again, soon enough. I brought in 3 reels of 8mm film a few weeks ago and then the remainder of 8mm film reels for a total of 13 reels that I recently picked up plus the cost was reasonable. The movies are from 1969 to about 1978 so are special memories although they are not as good as the videos from today's digital cameras or even the cell phones today take better quality videos. I just had to pass this message to you and that is I was totally amazed with the quality of your work and obviously very satisfied. I had been trying over the years to film the movies using my video camera from the projection on the wall and the screen but was totally frustrated with the results. When your ad came up on my screen from FaceBook, your web site explained with accuracy what I wanted. I have passed your web site plus your address to several people who are anxious to bring their 8mm film to you. All I can say again is Thank You for your excellent work. I'm now enjoying editing my top notch videos I received from you. Many sites I saw over the years weren't as good as yours explaining their work plus I had to mail my reels in as opposed to bringing them in like I was able to into your office - I was always afraid of the reels getting lost along the way to their office and returned to me. Again, a big thank you for your excellent work. but in the end the service was good. I would use them again. Just wanted to share this with you - we just released a video highlighting our 15th anniversary of helping students living in low-income communities across Canada to graduate from high school. Thanks to Digital Treasures, we were able to access and integrate some of our early footage from the early 2000's to share the impact of the program - thanks again for your help and support! Thanks Jen. The DVD is great. The videos brought back a lot of memories. The films were stored at my late mothers house and I had never seen them before. It was a real treat to finally see them. After using Digital Treasures for some of my corporate work - which demands the highest quality in film and video tape digital transfer - I knew exactly where to go to get all of my home movies transferred. It was quite the collection: VHS, Beta, Mini-DV and Super-8 films from as far back as the early 1970s! The attention to detail, colour-correction and overall quality was simply superb. I enthusiastically endorse Digital Treasures and will encourage my friends and family to settle for nothing less. Thank you very much for the great service. So far the videos that we have watched look great. Just that they have caused a couple of sleepless nights for me. Because when we start watching things from 25 years ago it's hard to turn it off, no one wants to go to bed. I want to thank you and Martin for transferring the videos for me. My family and I enjoyed watching all the old memories, it was a lot of fun and very emotional. You guys did a wonderful job!! My sisters shower is on the 20th however I have shown a couple of close family members the slideshow and they loved it. I will be recommending your company to my sister in the even her and her fiancee decide to do a slideshow at their wedding in June. Thanks to you and your team for your hard work. You captured the beautiful memories of my grandmother wonderfully. The quality of the slideshow and the customer service was excellent. Unfortunately, the banquet hall where we hosted the party had an outdated system. The slideshow worked, but there was no audio . I was very disappointed ... the song would have been perfect. Thanks again for your service, I would definitely recommend it in the future.
? ?together for my in-laws 50th wedding anniversary.? ?When the video first came on, the reaction of the guests was? ?priceless. My in-laws were so surprised.? Thank you so much for the everlasting memories.? ?It was such an emotional thing to see many relatives that have? ?passed away. I'm so grateful to everyone's efforts at Digital Treasures.
? ?It truly was a moment that will never be forgotten.? ?Thank You Thank You Thank You?.? Christine Fambely here - with smiles, grins and tears...talk about being an emotional mess. I received the USB/DVD's of the old tapes. WOW...talk about a flood when I heard my late husbands voice after nearly 27 years...weird doesn't describe it. So many memories and I can now share this with the kids. SO many family members have past away too...so what a wonderful way to remember them and keep life alive. Just wanted to thank you - via your supportive emails and staff for all that has been done. Christine Fambely DH, B.A., M. Ed. I got the delivery, thank-you! I've watched a few of the videos and they look great so far. Thanks! One person at the hospital was asking for your name as they've got a stack of tapes too, I'll send them your way. I just wanted to let you know how the big slide show reveal went yesterday at the party. Everybody LOVED it! My husband was in tears - literally tears rolling down his face. Such a beautiful presentation you guys put together for me. I am so, so grateful and appreciative. We can't stop watching it! You guys were so patient and dedicated in such a professional way. I am very happy to tell you that my son, chris howes, had our super8 films transferred to dvd by your company on chesswood, which he picked up on Christmas eve! our family Christmas here at my home in picton was a joyful trip down memory lane as we watched reels from 40+ years ago. my sons are now aged 51, 49 and 40 so my grandchildren squealed w/ delight at seeing their dads as children. watching together was an emotional event for all of us, prompting warm feelings and connections that had not been discussed for years. I had dragged a cardboard box containing those yellow Kodak boxes across the country 6 or 7 times in the intervening years , sometimes leaving them in unheated storage lockers, always meaning to have them converted but never getting around to it. so it was mind-blowing to see how beautifully you restored them to their original brightness and resolution. my compliments to you all and know that I have spread the word to my friends and relatives about your services. Good job guys. I appreciate the attention to detail, and the detailed response and actions taken. You're the best. Very professional. I may have more to transfer later, and will highly recommend you to others. Not only am I happy and satisfied with the last project, I have just shipped off the remainder of my video and film archive to Digital Treasures today for conversion to .avi. I spoke to Chris this morning to tell him it's coming. According to Canada Post, you should receive my package tomorrow. I really look forward to seeing the final results. I spoke to Chris about a week ago as well, and I might look into getting the original 8 mm film digitized but that will be a bigger project for later in the year since there will likely be some editing required. By the way, I found everyone at your company to be very pleasant and easy to deal with and also very professional. Thanks for following up. We were extremely pleased with the work done, packaging, expediency of job and even dealing with Chris who was an absolute treasure to deal with. It's so wonderful to get quality personal service these days. Doesn't happen often enough. I have referred you to someone who is very keen on using your services and we probably will in the future again. Thanks again and have a great successful New Year! I want to thank you so much for the incredible work you did on my Mini DV conversion. I am not professional at all in this field but it is very important to me and I am very passionate at the time of recording/editing. Thanks again and I will see you soon with all the material I have to save?. All I can say is wow! What an awesome company to deal with. We had over 23 video reels that had been just sitting in a box. We knew we had to get something done to preserve the memories on them. I contacted the company and Chris Cooper called me personally within a day or so and we got the ball rolling. We shipped the reels to the company a few weeks before Christmas and Chris stayed in touch via email to let us know how the process was going. We were given an estimate on the cost before anything was done. Our items were shipped back to us super quick and I was amazed how well they were able to preserve the memories. This will definitely make someone's Christmas a happy one. Some of the reels sent were from the early 70's. I can not be happier with the finished product. This company is very professional and I would recommend them to anyone. Chris, we really want to thank you all for the excellent, professional service. Our tapes, DVD's and hard drive arrived perfectly early yesterday. We opened them up soon after and spent a most emotional day experiencing countless memories we had made 20 years ago. The quality of the transfer is impressive. I will write a review if I can find the site, and I will recommend your service to anyone I find. Thank you so much for taking on what I had found to be such a daunting and monumental task, one that I would probably never get to. Have a great Christmas, Tim. This is Joanne here. Yesterday we had a family lunch, and I put on the CD's just as background visuals with no sound, just for fun. Well, we couldn't stop watching, and ended up sitting by the TV watching for much of our lunch time!. Then last night Tim took out the hard drive, and him and I watched til 1:30 am!!!! Couldn't take our eyes off the images. Our daughter just turned 20 on the Dec.16, so it was so incredibly wonderful to see her first food, first jolly jumper experience, first time rolled over. All these memories are vaguely in our heads, but watching was kleenex-necessary for both of us. Thank you soooo much for the incredible memories you've restored for our family. Christmas kisses and hugs to you all. You may recall me: you converted a big box of 8mm film for me. Yesterday I reviewed all the files again, just to make sure everything was all good, just before discarding the physical film. Everything was super. Thank you so much for the great job you guys did. I am just heading off to the sunny south, but before I did, I wanted to drop you a short note to thank you for the terrific job(s) you did for me. The help your team gave me editing my video was fantastic and I could not have been happier with the final product. As well, now all of our old home movies and home videos are digitally preserved for us, and are a real treasure for the entire family. Thanks again for the great job, and happy holidays. I just want to thank you and your team for the wonderful results you achieved with my 45 year old audio tape. It actually sounds like it was recorded yesterday. I will recommend your services to my friends and family. Hi Chris and Marc... hope you're both doing well! Regardless though... even after that small mention and our receptionist got several calls inquiring about your service. You did a GREAT job. On Monday, Sept 29 I am sending more. There will be 21 small reels and 3 - 7 inch in cans.The format you did it in is perfect. Do the same thing again. I will send you tracking No. and more info when I have it. Good doing stuff with your outfit, if any body around here asks about film conversion, I will definitely recommend you! I have received and viewed the VHS transfer tapes to DVDs and USB. I am very happy with the project and appreciate your expertise and professionalism. So nice to have done business with you and I'll be in touch for further projects. WOW�thank you soooo much. Received the pkg yesterday and sat down to watch. I realize they were not in order, and there was no sound but i thoroughly enjoyed viewing it. Great job, I will recommend you/your company to anybody that will listen. Very pleased. The David Suzuki Foundation turned 25 years old this week! The Foundation trusted Digital Treasures with 25 years' worth of irreplaceable archival video footage. Marc and team were a pleasure to work with every step of the way. Professional, trustworthy and an outstanding finished product. Expectations exceeded. Thank you for helping to preserve and share our history. Your team has always been client focused and turned our projects around extremely quickly and came up with creative ways of completing the work to ensure outstanding quality. A true pleasure to work with. Thank you so much for sending us the link to the video. The DVD looks great and a much better quality than when we had the 8mm movie transferred onto DVD using another a company in the States (when we lived there). I cannot say enough positive things about our entire experience with Digital Treasures, from the first phone call to the very last thank you for our business. We recently undertook a monumental project of compiling some 70 years of family memories into a movie. Part of this task required that all of our 8 & 16 mm films and VHS tapes be converted to digital format, with next to no time to complete it all. Digital Treasures listened carefully to our requirements, made time on their busy schedules to complete this incredibly rush jobs, and pulled it off with flying colours! It is very apparent, by their superior customer service, state of the art technology and excellent value for the work they do, that this organization takes their work very seriously and leaves you with no doubt that your treasured family memories, or any other material they work with, is in very good hands. Thank you again to Chris and his entire team of professionals. On behalf of the 2015 Norwich Canada Day Committee in Norwich, ON we would like to thank Chris Cooper from Digital Treasury Group Inc. for going above and beyond to accommodate our short-time frame to transfer movies from a VHS tape onto a DVD and media disc then return the items to us before our July 1st Celebrations. Even when we encountered delivery problems at our end, Chris was very supportive and accommodating to provide assistance to rectify the situation. As a result, we received the items in time and had a very successful event showing our old movies. Thank you Chris! Your team did an excellent job of scanning my old photos from the Star Wars set as well as creating beautiful BluRay's of my long lost film 'Black Angel'. These have now been shown at various film festivals around the world with copies being presented to both the President of Hungary and the Prime Minister of Malaysia. Suffice it to say job very well done and I look forward to continuing to work with your team on projects both personal and professional in nature. Working with Digital Treasures was a great experience from start to finish. Our company needed to get some digital conversion work done quickly and at high quality and DT delivered on both accounts. They made the whole process simple and stress-free and provided us with a great quality product. We're already planning to do repeat business converting our old video archive and I would highly recommend their services to others. Aaron Murphy | Brand Manager | Chris Hadfield Inc.
Subject: Comments re transfer project. Dian and I have had an opportunity to go through all of the files that you converted from VHS and VHS-C tapes to digital files for us. We are completely happy with the results and now authorize you to destroy the originals as discussed. Please feel free to keep and use the camcorder that we provided as you see fit. Thank you for the professional way in which this project was handled. We can now enjoy these memories again and again. We had a project where we were taking all of our audio and video footage and digitizing it - from VHS to CD to DVD to Audiocassette to MiniDV and DVCam. Digital Treasures did a fantastic job of digitizing it all. Not only that ... once it was digitized we were able to easily get them to edit the footage into digital files that we can readily use in our videos. Awesome job. Highly recommend. Great service. Very knowledgeable. They made our project easy. A big thanks to Marc and Dave! As TVO's Media Coordinator, I was tasked with transferring about 85 old analog audio cassettes of interviews with prominent Ontario political figures for a research project. Many of the cassettes were over 25 years old, and Digital Treasury did an outstanding job converting these recordings to digital files with excellent quality, and met all the delivery deadlines without issues. I would not hesitate to use Digital Treasury again for any similar needs in future. Let me know if this works for you, or if you need something shorter. Hi Jen. Thanks for the follow-up note, which is again indicative of the professional and friendly service I received from you and everyone at your company. The product quality is great too! My Mother was completely overwhelmed (in a good way) and we had a ton of fun -- three generations of the family watching together. My daughter was there and I believe she never would have seen Dad's slides of him and Mom at her very age if I had not done this conversion. So, I am sincere in saying that I would be delighted to give you an endorsement. I had mentioned "Homestars" to you when I was with you. Check it out and let me know if and where you would like me to sing your praises. I have this afternoon received the return of my film and your digital scans. A quick look and I'm thrilled! Thank you so much for the clearly considered attention to my requests. In due course you may hear from my brilliant cousin Russell based in Cambridge MA. His late father has an archive of 16mm film and stills that I am suggesting Treasures could help secure. So please watch out for something from a RUSSELL from Cambridge. 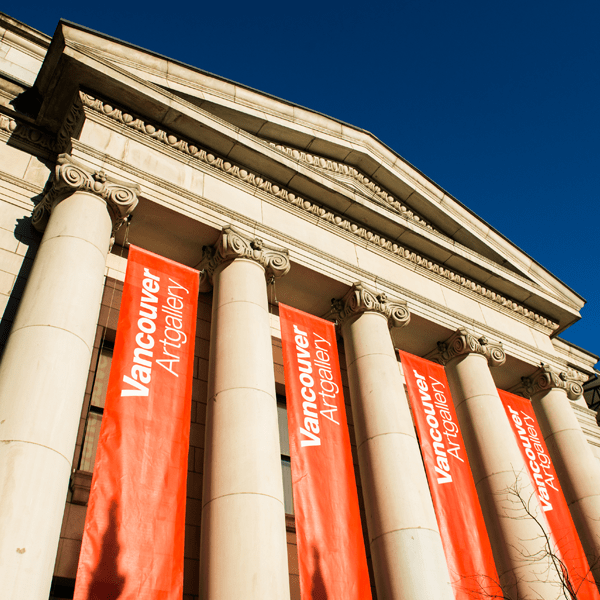 I'm also recommending you to friends at the Vancouver Art Gallery Imaging Department. More to come, with again sincere thanks for this. Hey, Martin -- Just wanted to let you guys know that you did a fabulous and well organized job converting my 75-year-old 8mm movie film to DVD! And since it is now in digital format, I'll be able to add, via my computer, some background music, sound effects, and personal titles to produce our own family DVD of these historical (and hysterical)movies. I should add that it was great fun to see my family, including myself, and "how we were" as kids! If we find any more old reels "in the attic", we'll certainly bring them in for conversion. I would like to thank you and the staff at Digital Treasury Group. You were most understanding regarding the mix-up on the Beta tapes we had digitized and were able to quickly find a solution to our needs. You made it convenient and saved us valuable travel time. Your professionalism is very much appreciated. Hi Marc. You did a great job with the scan. The quality is fantastic, and I'm grateful. Thank you so much to you, Chris, and your team for the video transfers of my old family films. I'm just sitting here, blurry-eyed, binge-watching them. I'm going to show some of them to my dad next time I see him. Thanks again and I look forward to seeing you on May 19 ! I just wanted to touch base and say thank you for your outstanding work with the scans and your service, everyone on your team was so nice and helpful! The scans look awesome on the final product. We have just officially launched, so if you like, you can visit our website to see the final product. From my very first phone inquiry to finally receiving the finished product (which took no time at all) my experience was an excellent one. Very helpful, approachable and professional, not to mention technically proficient. AWESOME product , format and love the thank you card ! WOW factor!! Sometimes you can't see the value in doing it, but after watching some stupid little videos , you get a grand and vivid view of great big memories!! I was truly impressed with the excellent services that Digital Treasures provided to me recently (April 2015). These days hardly anyone touches ancient 8mm films, but they converted it beautifully into a playable DVD and a digital file. They did the same with a home movie on a VHS tape. They also re-formatted 4 NTSC home movies into a particular brand of PAL. I have to confess I was not an easy customer - I've changed my order a couple times, but they took it with a smile. My thanks to Chris for his unfailing patience and courtesy and, last but not least, for sending the final part of my order by courier, saving me a long trip to the store. I'm sorry it has taken me such a long time to let you know how very happy my entire family was with the service you provided. The film transfers of our parents wedding to the memory sticks and dvd was fantastic. Now easily enjoyed by all. Your patience and professional manner made this whole process virtually painless. I highly recommend your service to anyone wishing to place their Family history in your most capable hands. I just wanted to pass on my kudos to you and your team of digital conversion wizards. I really wasn't sure that my beat up, 25 year old, VHS tape was going to play, let alone be copied into a digital work of art. A big thank you to both yourself & Jen for being so great to work with! I am giving a copy of the digital file to a friend for her birthday (which is tomorrow), so thanks again for going above and beyond to get my file back earlier than expected. These old home movies look awesome, I'm so happy with the finished product. Should anybody I know need your services, I will be more than happy to recommend you guys - Great Job! Thank you for converting my 40 year old slides and movie reels. I appreciate the professional service I received thus far from you and your staff. All questions were answered with patience, product was delivered on time, and everyone was super friendly. I will recommend you to others in the future. It was great meeting you. I can't thank you enough for doing this. You have made my day. It's been over 40 years since anyone was able to see the photos of my grandparents 25th wedding anniversary. I am happy to leave a testimonial somewhere or tell others how great the work is that you do. I look forward to our next conversation. Call me when you think it's time to talk about next steps. All the best and thank you so very much. I'm sure you were quite busy and I appreciate you getting in touch. Based on our last conversation, I am inclined to leave the files "as is" and thank you for a job well done. Your professionalism and expertise are beyond compare and I assure you I will continue to recommend your services to family and friends as well as hopefully bringing in more tapes my self. I wish you continued success and a wonderful 2015! Thanks for another great job, you guys are the best ! I have recommended you guys to all my family and friends. Professional service at a fair price; hard to come by these days ! We had a wonderful celebration! Thank you again for our beautiful video and for giving us a lovely keepsake for our children and grandchildren. Your creativity captured our wishes. Our guests loved it; I passed on your name to them. Would I come to you in the future - in a heartbeat! In fact we have some old 8mm & other things that I plan to have out on a DVD. Jen we are extremely satisfied with the finished product and great (professional) service. I have now watched the DVD both on my computer and on the big TV screen. The computer is better. I am really pleased with the quality. But the photographers certainly needed more experience!! I am amazed that some reels were so much better colour than others after all these years. The difference was significant. I had messed up the sequence of the reels because they weren't originally labelled properly, which made for interesting viewing! I really think I couldn't have asked for anything better, after all these reels were in a box and stuck in a cupboard or a drawer for 45 years, with no thought to humidity or anything else. I am happy with them. My daughter will be amazed when I give her copy. Thank you so much for the advice that you offered over the phone. I appreciated you quick response and the time you spent offering solutions. Thanks again for being so decent by offering further contacts. We live our lives while capturing images for ourselves and our descendants. It's good to hear from someone who is passionate about helping to preserve our memories or keeping alive the moments in the lives of our ancestors. Thank you so so much! You guys did a professional job and took the care needed to do the job right and at a fair price. I'll let you guys know how the dinner/slideshow goes with my grandmother when that happens in the near future. Thank you so much. I received the video package in order. We thought we lost this betamax tape and now for the first time my grown up children will see this. What a surprise! Again thank you so much and may God bless your business. I finally found the time to sit down and review the completed project. I am pleased to confirm that the audio and visual tracks were captured and transferred completely and consistent with the original quality including a couple I had forgotten. I am fully satisfied with the results. Although I'm faced with task of clipping, tagging and trimming the files, which will keep me occupied for a while, at least it's a manageable task thanks to your efforts. I got your business cards and have recommended your service to a couple of people with similar collections of mini-DVs and no way to play them. Hopefully you will hear from them in the near future. We appreciated the return of our "treasures" and the professionalism with which you and the Toronto folks showed dealing with us. I have already advised my brother in Barrie of your company. Many thanks for your guidance and technical support in converting my 'family treasures' to the digital world. The quality of the work and your customer service has been terrific. I look forward to continuing to work with you on my projects in the new year. Thank you! We were able to download the files without any problems. We are very pleased with your company's excellent service and look forward to having you convert some of our old family slides as well in the near future. Thanks again to you and Marc for such a wonderful customer service experience!! you guys are awesome! In Barbados - sunny 80 degrees - sitting with rum & sprite in hand. Have downloaded the flash drive onto my laptop. Well I have given the slides and movies a preliminary run-through. You did a superb job! Way better than anything I could have done with my "home equipment". The colours are wonderful, like new! There is not a mark on any of the reproductions. The movies are way better than I expected, remembering, as I do, the frailties of the original medium. When I look at the quantity of what you produced, I realize, again, that I would never have got through it all. So I have the family history restored and preserved and accessible to all. You provide a wonderful service, worth every penny! Please accept our sincere thanks for a job beautifully done, just as you promised. Got everything and all looks good. Many thanks for scrambling to make everything right. Very impressed with the quality and the service, and will definitely be recommending you to others. They did a great job on the transfers - managed to follow all of my odd timing notes! Subject: Re: Film to Digital Conversion - READY! Thank you for reprocessing my film. The work that Alex did was great. All my concerns with the transfer were fixed and the transfer came back cleaner than I expected. I was very happy with the customer service that I received and I hope to use your services again in the future. I had several hundred old slides my parents had taken and many were in bad shape, but I wanted to preserve what I could of the past. There are several companies in Toronto that do this kind of work, but a word of advice: (1) stay away from the cheapos because they really have no interest in what you say to them, they are just going to mass-produce your slides without even looking at them; (2) don't put up with the hassles and restrictions that some "quality" places impose on you. Best choice I made: Digital Treasures. From my first email I received a friendly, encouraging response, and Jen was extremely helpful in explaining what they would do when I took the slides out to their office. I was worried that the oldest slides (the 127s with thin frames, almost all badly warped) would be impossible to scan. Well, not only were they scanned perfectly but the extra work in cropping them to get them into jpeg format was done with great sensitivity. They found the best part of the photo and sacrificed only the peripheral parts. You can't go wrong with this company. I feel the need to share my experience with Digital Treasures, Marc Knez, and Alex who I believe is a Senior tech with the company because the way these people do business in todays times is truly extraordinary! My experience started with a phone call searching out the best company and value to transfer my children's home movies on VHS to DVD. My first contact by phone was with Marc who explained there process,reviewed there costing and left me feeling quite confident that they were the right company to do a test with. So I decided I would do a test and see there performance. I took them 3 VHS tapes for transfer. The discs were ready promptly in a couple of days as promised. When I got the discs home ,very excited I put the first disc in my DVD player. Unfortunately the only thing that came up on my screen was a message that said cannot read disc which left me feeling disappointed! I called Marc to advise him what was happening and feel this is really where (in my head anyway) this company began to shine. Marc, who sounded as disappointed as I was,made it clear that if they could not fix the problem he would immediately refund my money but asked me to give him 10 minutes to do some research and said he would get back to me. He got back to me in 10 minutes as promised,explained that all DVD players are not totally up to date with the latest technology and said that he would immediately burn a new set using different technology and have them couriered to my home. I was quite impressed with that, but moments after finishing that phone call I received another call from his Head Tech Alex. Alex asked me for the Make and Model of my DVD player,immediately researched the machine, only to learn that this particular machine has problems with Discs that are burned after the fact. He also learned that there is a download for the machine. Unfortunately after making immediate arrangements to get my machine,do the download and play the discs they still did not work in my machine,however Alex was not prepared to give up. He then immediately burned a new disc (at a slightly different speed) and the discs worked perfectly. So of course on the spot he burned the other two discs and obviously I was a very happy customer. These two gentleman dealt with this situation as if they were trying to fix there own personal situation!!!! Well in todays times it is always nice to get your finished product, and to say the least in this case the finished product is impressive, but for me this experience was all about how they dealt with my problem and there sevice. As a consumer in today's times it is very rare that a company takes care of you the way Marc and Alex at Digital Treasures took care of me! I feel as a company, your service.....A true Anomaly!!! Needless to say I will be bringing you the rest of my material for transfer and would Highly recommend this company to anyone who has films or tapes for transfer!! I just wanted to let you know I received the CD. Thank you very much. The quality is excellent. The recording did include a small clip of my grandfather's voice which was wonderful to hear. We have many more tapes in the family so I am going to compile them and get in touch with you regarding more conversions. I wanted to say thank you for taking such care with our videos. They have arrived, all is well and we are sitting down tonight to watch them as a family! I received everything this afternoon - thanks for ensuring it arrived today! I've had a chance to watch both DVDs, as well as import all of the .wav and .avi files. Everything looks great and I've had no issues importing the .wav files into iTunes and the .avi files into the Sony Vegas software I use for my video editing. It's too bad that none of the films had audio with them, but I guess that was a limitation of the technology back then. I am a completely satisfied customer and won't hesitate to use your services again for my own projects down the road, as well as recommending your company to all of my friends/family who may have similar needs. Thanks for the dropbox links. I was extremely impressed with the sound quality of the audio cassette conversion. I will drop off some more audio cassettes and records sometime on the weekend. Your staff did an excellent job with the scanning and touching up of the old surveys and blueprints I brought to you for conversion. The digital files you conveniently emailed me were sharper than the originals and my two separate clients were quite impressed with the results. Going forward, you will be my exclusive source for such delicate and timely requests. Leaving that important work in your capable hands was a rewarding experience and I will be sure to refer many of my colleagues over to you. Seems like you've got a winning and much-needed business model - see you around! Just wanted to say a quick thank you. We have viewed all the tapes you converted for us and the quality came out superb. If you have any new customers that need a reference would be happy to provide anytime (not that you need it!). We have my mom's 70th birthday celebration this week-end, and she will be viewing some footage that she has not seen in over 15 years. It will be worth every penny. Also wanted to mention that everyone we dealt with in your shop was so friendly and accommodating. The fact that you took my daughter's camera and extracted her precious photos just like that was awesome as well, she is so grateful as we thought the pics would be lost. Wish you the best of luck and we'll be back in the future when we have some more funds to convert the rest. Thank you so much for doing the incredible transfer of all of our home movies. We are thrilled! I was most concerned as some of the format you transferred over for us was in Beta format. Knowing that this type of video is rare, I was most concerned that it couldn't be done, and you saved the day, and produced top quality conversion and brought back so many long forgotten footage. Especially now that both my parents have passed, and now with the loss of my only sibling this past February the conversion was that much more crucial for my nephews and my own children. You totally came through. Special thanks to Marc for the safe pickup and delivery of our many tapes, for the professional and courteous care, time and understanding, as I worked through the recent bereavement and our move from Toronto to Mississauga, all at the same time. It was most comforting and the end product most joyful. Finally, this past weekend was the surprise 80th birthday party for my children's paternal Grandmother. That side of the family was overjoyed to view the wide variety of memories from over the years, and there were many tears of happiness at seeing the cherished memories. Thank you both, for the excellent, professional and care. Sorry for not getting back sooner but I had not received the film back. My sister dropped it off on the weekend to me and have been looking it over. You and your crew have done a great job on the films. I am pleased with the results and will be recommending you to my friends. In reviewing the video it's apparent you have cleaned and transferred it very well. The files are something I am able to work with for editing as my winter project. It is my hope that the memories will be enjoyed by many family generations for decades to come. Thank you to you and your team on a job well done. I cannot THANK YOU enough! These are priceless, and I hadn't seen them for years. You could have charged ten times the amount and I would have been happy. I sincerely apologize for the delay in getting back to you! The quality of the DVD's were great. In addition I do appreciate that when dealing with you and Mark, you never made it feel as though we were just another conversion, but a person. I have referred a coworker to your company, hopefully she contacts you! Thanks again for the follow up. I received everything back in super condition. I have mailed the check. I would highly recommend your services anytime, I am thoroughly pleased. I was thrilled with the results of the VHS to DVD conversion of some very old family videos. Not only was I provided with a DVD copy, but I was also given the files on a USB key so that they could easily be shared with the other members of my family. With 4 VHS tapes to convert over, I was surprised at the quick turnaround time (less than 7 days) and the really great quality of work. Jen was a pleasure to deal with and wonderful at explaining the process to someone who really has no clue about all things technology related! The entire experience was amazing and I have already recommended Digital Treasures to others. Thank you again! Jen, I just wanted to take a few minutes to write that testimonial you had requested. Not sure how to post it to your page, so I'm sending it this way instead, for you to post. I was thrilled with the results of the VHS to DVD conversion of some very old family videos. Not only was I provided with a DVD copy, but I was also given the files on a USB key so that they could easily be shared with the other members of my family. With 4 VHS tapes to convert over, I was surpised at the quick turn around time (less than 7 days) and the really great quality of work. Jen was a pleasure to deal with and wonderful at explaining the process to someone who really has no clue about all things technology related! The entire experience was amazing and I have already recommended Digital Treasures to others. Hope things are fine on your end. I found the service at DT absolutely wonderful! Though, it was a short notice to get the conversion done in time but you guys made it possible for me. Not only that, you made sure I had the at least the soft copy of final product with me for the event, which I felt was very relieving. Should there be a need to use your service again, I would not hesitate to contact you or to refer DT to my friends/ family for their digital conversion needs. the photos were great! I was happy with all aspects of your service and I wouldn't hesitate to recommend you ! Great to hear from you! Yes, the grad film brought my friend to tears. It was a very touching gift made possible by you, and definitely very happy. The movie transfer also looked great - we haven't had time to watch all of it but again it would not be possible without your help. Thanks so much! Everything we received is exactly as requested. Much thanks for all your hard work getting everything together for us in such a timely manner! I have been meaning to write back to you. We are extremely pleased with the results of your scanning, corrections and personal service. Definitely exceeds expectations! Thanks much for your attention to the details. 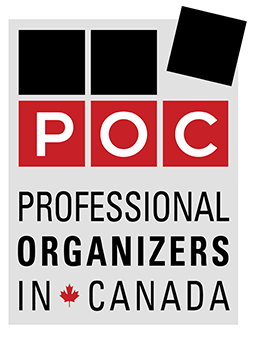 We will be in Toronto in the latter half of June and have already selected another group of slides to bring along. I'll email you about that when time gets a bit closer. We are delighted with the quality of the scanned slides you did for us. I looked closely at a few that I would like to print and was happy to see that they would stand up to enlargement. The resolution, color, and cleanup was all well done. We have now gone through our own more recent slides with the intention of bringing them to you later this summer and are relieved to know that we will have these images preserved for the future. A thoroughly pleasant experience throughout. I copied it into my computer, then sent it on to my cousin in Ottawa, the official genealogist and family historian. She had never met my father, but became a big fan after reading a lot of his poetry. Seeing her own brother doing the TV interview was a big bonus. Thanks for the follow up email, I managed to view the video briefly, I haven't shown it to my team as yet because we have been extremely busy here and haven't gotten everyone together to view, from what I saw the quality was as best as it could be given the age of the reel. The sound was excellent - you and Marc did a great job; so thanks again. The service we received was very fast and professional, turnaround time was very good and I am pleased with the outcome. I am writing to thank you for transferring the Betamax Tapes. I couldn't transfer them here in Egypt. So I was glad when Tess told me that they were transferred. It made me so happy to know that there are 11 hours of my mother's show when she was a TV presenter, more than 30 years ago. I appreciate it so much. Thank you so much for your help. You have revived so many memories for us-- getting to share some this evening with our 31 yr old son and his girlfriend was spectacular. Thank you for making this possible. It's been nice to meet you both. More again one of these days. Thank-you for your good wishes and the amazing job you did in transferring that tape for us. We had a party with the whole family to unveil it and everyone loved it. We will be sure to use your services again when we have something to be transferred. We were very pleased with everything you did for us. Just wanted to say thanks again for all of your help in creating these lasting memories for our family. My father was speechless tonight when he saw what you guys had done for him...the tears said it all! We are extremely happy to have chosen you and will surely be recommending your services to friends and family members in need of something similar. Just going over these last batch of negatives from Dave's collection. I am very happy that on at least one of the negative pictures you put a before and after picture that you fixed up digitally. Clearly shows your skill. That's the one showing a big US bomber on the ground. You did an amazing job. I can't tell or see any sign of your repair. The original negative was in pretty bad condition. Really good job. You should put those two pictures on you web site to show what you can do with old 70+ year negatives. I think your customer's would be impressed. Might get a few more clients for you. I believe those two pictures were taken in Burma 1945. I was happy to find some mid 1970's 8 mm film I then set out searching the net and I found Digital Treasures. Digital Treasures made the transition from old technology to digital technology a happy experience. Dealing with Digital Treasures I found them to care as much about my project as I did. It was comforting to know that I was shipping my treasure to someone that cared for it as much as I did. I was very happy when I received my film and a digital copy with some special needs that I had asked for fully intact and very well done. Hoping that I find some more of this footage I would not hesitate to use Digital Treasures in the future. Thanks Jen! Happy New Year to you too! The transfers were the biggest Christmas hit; my folks were blown away by them and they were totally surprised. Plus, my wife was blindsided by our wedding video footage - which none of us had ever seen (9 years later�). Really special stuff. Hope you guys are doing well, and thanks again for the awesome work! Happy New Year to you as well Jen! I have to say my Mother was THRILLED and VERY APPRECIATIVE of the memory book we made for her. Words cannot express what those old photos mean to her and now she can flip through beautiful pages and enjoy them. Thank you for your excellent personalized service. Since this was my first big project involving converting old slides - you were so helpful both in advising me with tips to make my photobook exactly how I envision and sharing my enthusiasm for the finished product. Your work on my old slides was excellent - creating superior quality digital images that we can store forever and create other projects. Your payment plan and follow up as efficient. I will definitely refer your services and call on you again. Hi Jen and Marc - and Happy New Year to you both as well! Thank you so much for helping to make our Christmas EXTRA special this year! I hope you both have a wonderful 2014 and I look forward to working with you again somewhere down the road! You recently transcribed film of the British royal family dating back to the 1920s on to a DVD and flash drive. Thank you for your professionalism, care and attention to detail. Hi Jen. Yes the movie file arrived. It's great. The final piece in my digital life :) Did you receive the payment ? David is actively pursuing his albums and will have them shortly so he can get them ready for you to scan. My brother just received his copy of the pictures on a stick (he's in the army and was away until now) so I'm really excited to hear his reaction. Next year I will be making a slide show with these pics for my mom and dad's memorial party. I honestly don't think there is a single thing you could do better. I think you should try to stand apart from other companies that can be searched online. I think I picked your company because I like the name but I don't remember any other detail from the website that made me chose you. I think people should know they are getting extra special service from people they can trust. But I guess any website can say that. I don't know. I just feel lucky that I happened upon you. I've told some people about your work with families living with Alzheimer's and it's been very impressive to every one I tell. So maybe that's a discerning feature that tells who you are ? I guess customer testimonials work too. Thank you, everything has been up and running great, I appreciate how much you and Marc really truly care about what you do, it seems a lost art in business today. I can't thank you enough and you'll be sure to have referrals from me forever. Jennifer Knez one of my oldest and dearest friends, I can't thank you enough for the video you put together of my daughter Alessia Rose. Your creativity in collaborating and producing her life story through my most treasured photos and videos have touched my husband Rocco Renda and I on a level that you can't imagine. I am so honoured and proud to have the video played at her function this Saturday November 9, 2013 in front of 725 people. I came to you and your company, Digital Treasures, with such confidence that you would produce exactly what I wanted, instead you went over and above and superseded my every expectation! I love it, and can't wait to see the next production that your preparing for our Family. I've just finished looking through the photos and am delighted. It is lovely to have them all on disk, and now on my hard drive. I will be sending off the disks to the others in the immediate future. Thanks you so much for your work! You have done a good job. They all look so much better than the originals. I'm thrilled, and I am sure everyone else will be too. Digital Treasures did a great job on converting my outdated video tapes to digital. They took the time to explain how to use the digital files and completed the work in a timely fashion. I highly recommend them to anybody who wants to move into the digital age with their home treasures. Thanks for the followup. Yes...there were some tears shed...but all-in-all, it was a wonderful experience. It was strange, but wonderful to hear my Mom's voice for the first time in 15 years! The end-product and the service, were both excellent, and appreciated. I still need to tackle the slides now. Mary and I wish to thank you for the great work you did in transferring the contents (Super 8 tape of our children when they were little) of an old, and poorly recorded VHS tape to a DVD and synchronizing a favourite music playlist with the video. You were very patient when we wanted to make changes and went to great lengths to make sure the music was exactly what we wanted. We were very pleased with the results and ordered a copy for each of our children to show to our grandchildren. Marc and Jen - your talents have created a digital family treasure. My sister-in-law loved the pictures. She said the quality was even better than the professional pictures they had done at their wedding. Thanks for your help in making this special gift. Recently I was looking for a company that would be able to convert a VHS tape to a DVD. I knew that the tape was old and may not even be in good enough shape to be copied. It was very important to me as it was a tape of my wife who had recently passed away. I found Digital Treasures on the Internet, contacted them and they assured me that they would do their best. The tape was in bad shape but they did a great job in copying what they could. I have since recommended their services to my daughter who also had a good experience with Digital Treasures. I would never hesitate to recommend their services. I found my experience with Digital Treasures a real pleasure. I needed some slides and VHS movies put to DVD. So I searched the web and came to Digital Treasures. It attracted me because the site and picture gave me a feeling of trust and caring. I found this entrepreneurial young couple to be just that. Their service was fast and affordable. They guarantee their work because a glitch was quickly corrected. I was also impressed by their easy accessibility and friendliness to answer any questions. I wish every business had this personal touch of care and service. It's a business like this that will succeed. Many thanks for transferring all of my family videos to dvds! I truly appreciate your fast and efficient service. Not only did you save me time but you provided me with memories to cherish forever. The dvds were organized chronologically and labeled beautifully. Thank you for the special touches. I will definitely recommend Digital Treasures to friends and family. Thanks again for your prompt, professional service. My experience with Digital Treasures was extremely positive. Patient explanations were given for everything they did so that I was able to make informed decisions. The quality of the work was very good, and prices were reasonable. Jen and Marc were professional yet friendly every step of the way. Will definitely use their services again. My Family and I sat down last night to watch the DVD. It was awesome!!!! To my wifes Mother for Christmas and we know she has not watched these in over 40 years. Thank you very much again for the great job. I have had the satisfying experience of having Marc and Jen transfer many happy memories from tape to dvd. They are a delight to work with. The work was done expediently, with a personal touch and at a reasonable price. I am always keen to support local small business. I found Marc and Jen on the internet and immediately felt comfortable entrusting this work to their expertise. My instinct proved to be correct and I would not hesitate to recommend them to complete any of the wide variety of services they offer. I am very happy with the end product � I have shown the videos to many of my family members and they are amazed at the quality of the video and stated that the cost was worth every penny to preserve such memories. As for any sort of feedback � I don't really have anything to add other than it was a very pleasurable experience and I am completely satisfied with the end result. I with you both a very successful business and if I know of anyone needing digital preservation/conversion services, I will be sure to recommend your company. My entire experience with Digital Treasures was a very positive one-from the video pick-up to its return as a DVD, all was done quickly, efficiently and professionally. I will certainly use this company again. Thank you to Jen and Marc! I was very pleased to be able to watch videos again that were long since forgotten. I loved that I was able to share moments from my own childhood with my children. Thank you so very much Jen for the quick and excellent service when transferring my precious memories from archaic video cassette to the newer digital format. I want to thank Jen & Marc at Digital Treasures for transferring priceless memories from various forms of media to DVD's. The service I received from the first phone call, was excellent. I didn't even have to leave home. All my media was picked up at my front door. I received the disc's a few weeks later. When I received the DVD's, some of the media did not transfer in a format I could read, I called them to let them know, they redid the disc and sent me another copy within a week. I'm sure that the problem with the first disc was my lack of knowledge, they re-did in a version I was familiar with. It was a pleasure speaking to you both and working with you. I have already spread the word. I highly recommend Digital Treasures, the level of customer service and workmanship is second to none. Jen was professional and a pleasure to work with from the very beginning. I have been sitting on a number of photos and films of family history for years. I had never had the opportunity to look at any of the video's as we don't own any of that technology. Because of the work Jen had done we watch our video's and are able to look at my photo's in a professional and easy book that we bring with us to share constantly. It's great to share these memories with my sister's and my children. I would recommend and advise everyone to take the time to utilize Jen's services as what she did for me is magical and irreplaceable. I want to thank you for creating a beautiful book of memories of my glorious life with my now deceased husband. I don't know if I will ever be able to put into words my joy and my husband's joy when we received the book. You took a lifetime of wonderful events and showcased them in such a way that Billy and I were taken back to a place of peace and happiness. For this I am eternally grateful. I will recommend your company to all my friends and anyone who needs your expertise!!! Subject: Tip of the week! I am sending out a note telling you about a service I discovered just in case you have the same need I did. In my early years of parenting, we took all our photos using a 35 mm camera and had photos produced in 35mm slide format. Up until the teen years of my kids we amassed boxes of slide carousels, which as you know are obsolete today and have taken up so much storage space. For the past two years I have thought about, and looked into various services for conversion / digitization but didn't go any further. With my recent broken ankle and being �cooped' up, I took the time to cull my slides, and find a service that would digitize them. They took away 29 slide carousels ( after I culled), 13 old super-eight silent movies and 1 VHS gift someone had done of my kids, and digitized everything onto archive grade disks. Their work is great � and I have copies of everything on disks which I can now give my kids. You or your parents may have some old slides you'd like to have digitized�.I encourage you to visit their website to look into what they can do. That's' my tip for the week! I could not have been any more satisfied with the service you provided as well as the end product. The video of our band will now be enjoyed by all of us for years to come. Thank you so much for getting the conversion done so quickly. I was able to load it onto my daughter's laptop as soon as I got home. I would like to thank you guys for putting together the Digital Albums/Scrapbooks (or whatever you want to call them) of our family trip to Africa� It was fun working with you guys to create memories that will last a lifetime. It exceeded our expectations in terms of quality and professionalism and sits proudly on our coffee table! We are very happy with our digital pictures and extremely satisfied with your prompt service. I had a recent experience with Digital Treasures in which I feel very comfortable relating to anyone else considering using their services. Both Jen and Marc were very professional in their approach and in the quality of work that was performed. In addition to this they were both pleasant and courteous throughout the entire process. I have no hesitation in recommending their services and engagement. Enjoying the movies very much. Now we have video of early years of both children. Wedding video resulted in lots of laughs. Thanks very much for quick turnaround. The service was very convenient and reasonably priced. I have already recommended your service to family and friends. They will get to experience the end product during the holidays when they are over. I think one of the most important aspects of the service you provide is the trust factor as clients are handing over ireplaceable family memories. You made me feel comfortable right from the start. I was so overwhelmed by the sheer volume of older photographs my family had, and they were never well organized. Jen at Digital Treasures took the time to learn who the people in our lives were, enhanced photos that were faded, blew up images that were important to us, and added some fantastic finishing touches to make our album personal and full of love. I would never in a million years have done this on my own - our family now has an "heirloom" of the last 70 years that is absolutely priceless. When I presented it to my father for his 61st birthday in March, he was so touched that he woke up that same night thinking about it to go through it again and again. Thank you Digital treasures for that amazing, perfect gift of memories.